Guys, we are behind. Like, over 10 movies behind. We didn’t get through a ton this past week because I was sick so I was usually asleep by the time Rob got home, plus we had a busy weekend where we drove up to New York to grab some more of my stuff (like my desk and desktop which I’m finally using again). I’m exhausted but less sick this week, so hopefully we can end (mildly) strong, and get closer to the goal. 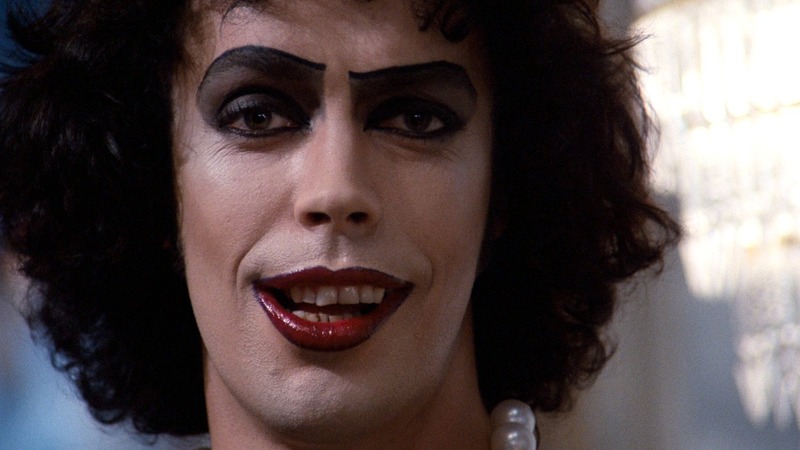 After watching Tremors, we got fast and loose with Rocky Horror Picture Show (the one starring Tim Curry, not just featuring him). I’ve loved this movie for an insane amount of time; I used to listen to the off-broadway version of the soundtrack before going to elementary school in the mornings. When it came to Glee I was actually really excited, and I’m even tempted to rent the version that Fox did last week so I can compare. ANYWAYS, it was Rob’s first time watching it all the way through, and I tried to keep up as much as possible with the script (minus throwing stuff at our TV). If you haven’t experienced it live, I highly recommend it, it’s a special type of experience. Sunday night (see I told you we were behind) we watched Dracula, Dead & Loving It. I have had the movie for years but never actually sat down to watch it. I’m glad we got to, though, because I really like Mel Brooks’ movies, and I think this was the best way to finish out the weekend for me. Last night we went with a classic (in my eyes, anyways), and watched Hocus Pocus. I’m incredibly jealous of everyone who gets to go to Walt Disney World for Mickey’s Not So Scary Party because the Sanderson sisters are actually there, and they look phenomenal. This is another movie that I think is a must-see; whether or not it’s Halloween season. Tonight, in hopes of catching up a little, I think we’ll be watching Coraline and Paranormal. I really enjoy Laika movies (hello Kubo, I’m ready for you to be on Blu-Ray now), and both of these are pretty good spooky movies. This is the final (full) week of October, so we’re going to have to double down. If you’ve got any fun, non-spooky Halloween favorites, let me know!